Therefore, anyone who hears the words of mine, and puts them into practice, is like a man who built his house upon a rock. The rains came down, the streams rose, the winds blew and beat against the house; yet, it did not fall because it had it’s foundations on the rock. But everyone who hears the words of mine, and does not put them into practice, is like a foolish man who built his house on the sand. The rain came down. The streams rose, and the winds blew and beat against the house, and it fell with a great crash. 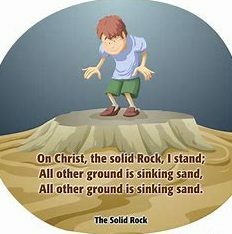 Someone have asked me why I wrote the book Rock Solid Living In A Quicksand World-Rewind. There must be a billion books out there. So, what’s the point? I give a detailed explanation at the beginning of the book, and I hope you go to your online bookstores like Barnes and Nobles, Books a Million, Apple- I-tune or even Amazon to get a copy. I hope you take time tor find the answer; however, I would like to share a few ideas with you. The USA, and all of Western Civilization, are in some serious trouble. It really is time to awaken and right ourselves. Pillars of our culture, are crumbling: Families are breaking apart and being redefined. Our educational systems are costing more than ever with horrific failing results. Religious institutions need reforming, revitalizing, renewing, reviving or transforming. Media pollutes our society with bad information or addictive pornographic presentations. Our government agencies are in disarray, spending 20 trillion more than we have, as well as having two hundred trillion unfunded liabilities. Our military has become one huge dysfunctional social experiment, even though it keeps on winning battle after battle. Arts and entertainment should make people blush with shame, but our moral compasses have devolved our ability to even feel shame. Scientist and medical personnel are aborting babies, harvesting their body parts and selling them on the open market. Social media giants censor Christians, or any others, who hold to values that once made America God revering people. It seems that we increasingly are forgetting God. It’s as if our Cross has tipped over. I Am Talking About More Than M.A.G.A! I know that we have a political movement that is crying out for us to “Make America Great Again.” I don’t see anything wrong with such a goal, however, what I am trying to say is that our hope is in something far more relevant, reverent and even more than a little revolutionary, if not revivalistic. I am talking about, in my book, about America getting itself set on the rock solid foundation of authentic spirituality and grace. 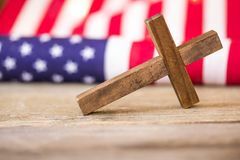 I am talking about Making America Godly Again, through the teachings of Jesus, who is the Christ. If we do, Jesus is crystal clear what will happen. We will stand up to anything that storms against us individually, collectively, nationally and culturally. And this power to stand will flow out from America to the rest of the world. So, in essence, we will moving the world toward greatness again; however, if we fail to do so, we will collapse into a foundation-less culture leading to our own demise. Let’s choose life. Let’s choose to have a foundation. Learn more. Go get a copy of Rock Solid Living in a Quicksand World-Rewind. Let’s make this PRIORITY 1, Let’s make this MAGA1. Let’s Make America Godly Again! 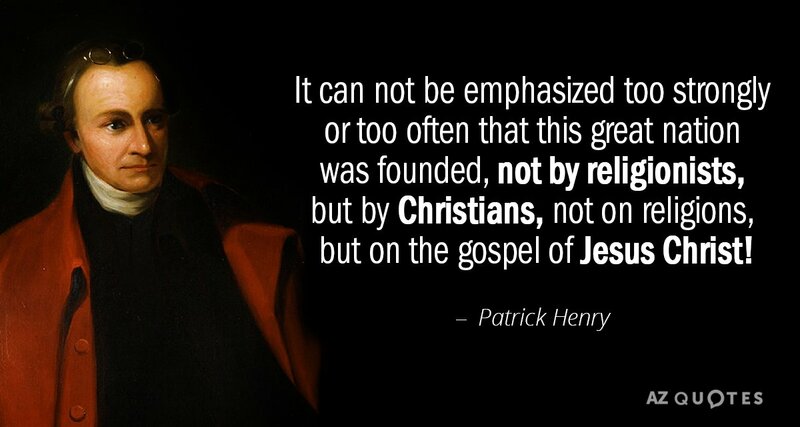 Let’s bring a reformation and revival to Planet Earth.